Our apartments, perfectly situated in Arlington, Virginia, just minutes from Pentagon City and less than three miles from downtown Washington, D.C., 2121 Columbia Pike gives you the perfect blend of neighborhood living and a vibrant city atmosphere. Our proximity to Interstate 395 makes commuting and traveling easy, and our community is surrounded by a variety of local and government employers so you can work close to home. Find the best retail and restaurants at Fashion Centre at Pentagon City. Enjoy all of the rich history and culture of downtown D.C. just across the Potomac. Just across the street from our community, you have access to Giant® Food, Towers Park, and Army Navy Country Club. Discover all that our Penrose neighborhood has to offer. 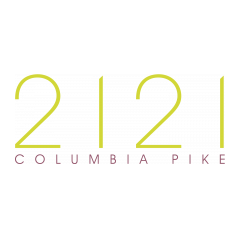 Visit 2121 Columbia Pike today!